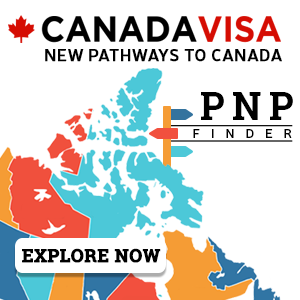 During your studies in Canada, it may be necessary to renew or extend your study permit. Maintaining legal status in Canada throughout this process is crucial. If you do not apply for a renewal of your current status or a change in status before your current status expires, you will need to leave Canada before submitting an application to return. If you submit your application for renewal or a change in status before your current status expires, you are considered to be on "implied status" as a temporary resident until a decision has been made with respect to your application. You must keep a copy of the documents proving that a status extension has been requested (proof of postage or courier delivery, an internet submission receipt, etc). In addition, if your status expires before a decision has been made, you will only be able to continue studying as long as you remain in Canada. This rule only applies to applications for temporary residence. If you are applying for permanent residence, you will not be allowed to stay in Canada until a decision has been made, unless you have a valid temporary status as a visitor, student, or worker. If you lose your status in Canada by failing to comply with the conditions of your study permit, you may apply for a restoration of status within 90 days of losing such status. If your study permit expires before you have completed your program of study, you will need to apply for a renewal. You should apply for a new study permit before your old one expires, and it is generally a good idea to submit your application at least 30 days before your current permit expires. You may submit your application online or by mail. After the extension of your study permit has been approved, you may apply for a Temporary Resident Visa (TRV), if required. If you are studying in Quebec, you may also need to obtain a new Certificat D’acceptation Du Quebec/Quebec Acceptance Certificate (CAQ). As a general rule, if you require a study permit, you also require a CAQ. IRCC states that students are not required obtain a new study permit in order to transfer between educational institutions, study programs, or study levels. A student may study in Canada as long as his or her study permit is valid. If you have any questions about renewing or changing a study permit, contact us.